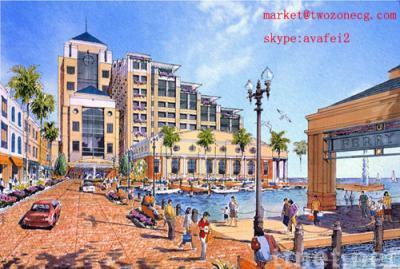 Shanghai Twozone Digital Technoolgy Co., Ltd.
AIP Singapore, lead by professional architects who earned many awards in past decades, can provide multiple services including Architecture Design, Manual Illustration. AIP Shanghai (Twozone Digital Technology Co.,Ltd), founded in 2006, is your greatest source for 3D Modeling+ Rendering, Animation and Multimedia. The two studios work seamless with each other which set us apart from all other companies as we add a level of professionalism to all our work that is unrivaled.